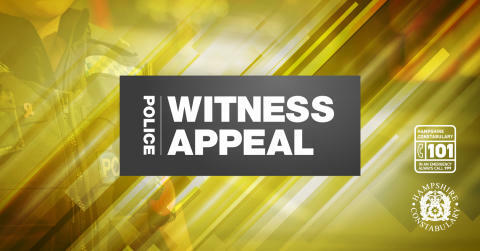 We're appealing for witnesses after a teenager was assaulted in Havant today. We were called to Woolston Road, Havant, at 3.45pm today (March 15) following reports that a 15-year-old boy had suffered a stab wound to his arm. Officers attended the scene and the teenager was taken to Queen Alexandra Hospital for treatment. His injuries are serious but not life-threatening. Four teenagers from Havant, two aged 18, one 19 and another 17, have been arrested in connection with this incident and are currently in police custody. A police cordon has been put up in a section of Warren Park as our investigations continue. We can also confirm that a weapon has been recovered. We know that this type of incident will be concerning for residents in the area, so our officers will be on patrol in the area this evening, so if you have any concerns, please speak to them. If anyone saw anything or has any information about what happened, please call us on 101, quoting 44190091201, or Crimestoppers anonymously on 0800 555 111. If you have any information, please contact us on 101, quoting reference number 44190091201.